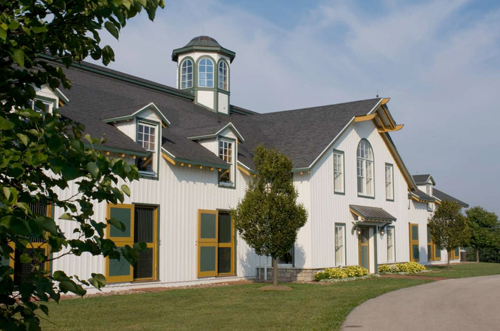 Monticule Farm: Lexington, KY - Blackburn Architects, P.C. 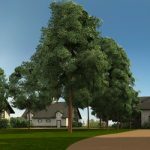 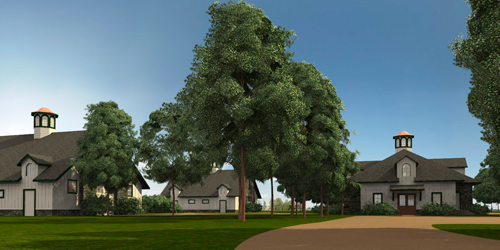 : Blackburn Architects, P.C. 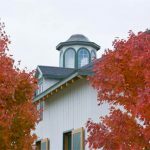 Originally on a 200-acre parcel of lush green rolling hills in Kentucky horse country between Layette and Bourbon Counties, Monticule Farm was named for the French word for a small mountain. 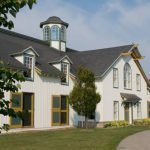 Blackburn Architects worked with famed landscape architect Morgan Wheelock to develop the property, now over 600-acres, into one of the industry’s best commercial breeding facilities. 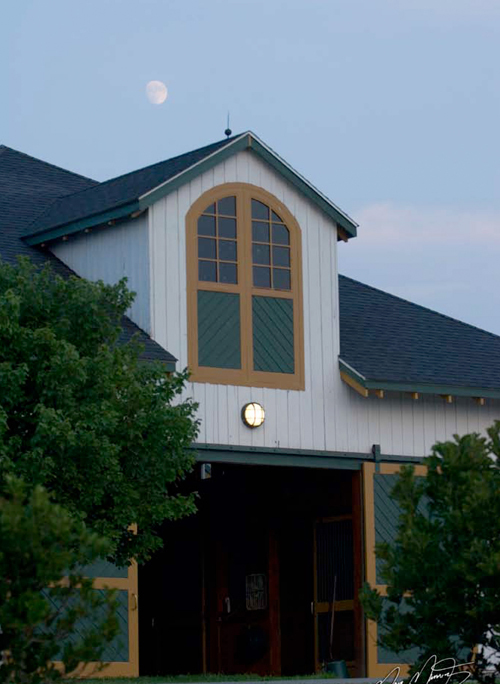 Blackburn designed a 20-stall broodmare barn and a 16-stall yearling barn in the style of other large Kentucky horse farms from the 1940s. 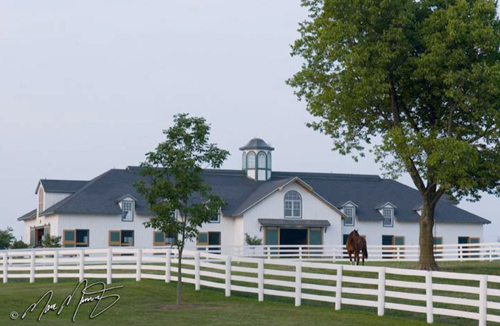 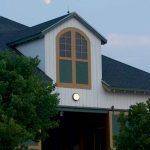 In 2008, Blackburn provided master plan and concept design services for a four barn stallion complex; each barn contains four stalls. 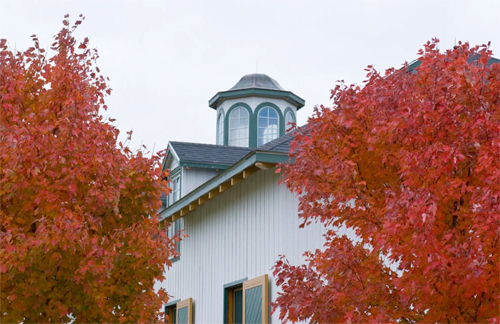 This project was featured in Keeneland Magazine.